We had some beautiful sunny days in Portland in April and my sister and I wanted to spend an afternoon outside. 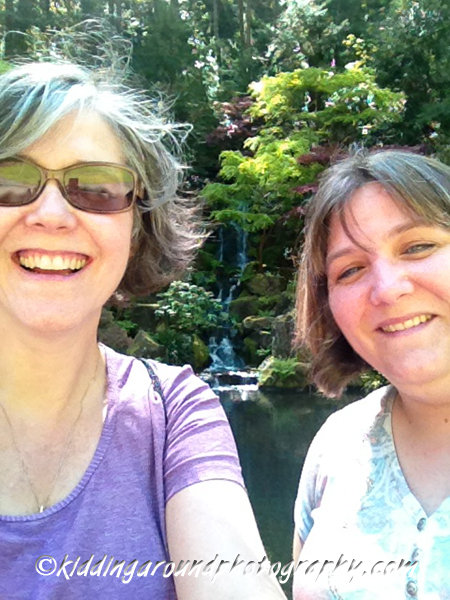 We thought about going to the zoo but so did everyone else in Portland, so we decided spend a few hours wandering the Japanese Garden instead. The Portland Japanese Garden, one of the most authentic Japanese style gardens outside of Japan, is a beautiful, tranquil oasis located in Washington Park, way up high above the city. 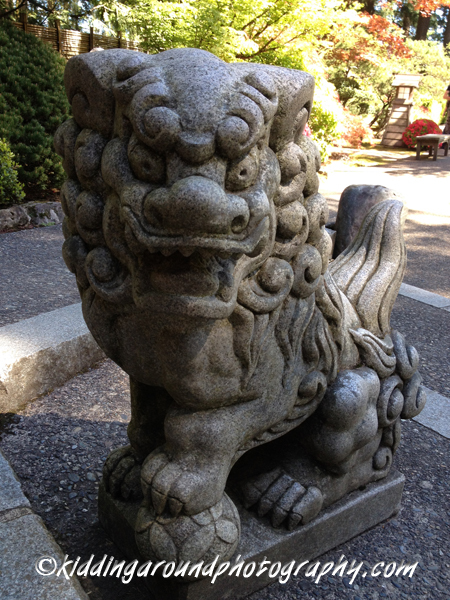 We like to visit places that let us authentically explore part of a different culture when we can’t actually go to the place, and this, like Portland’s Lan-Su Chinese Garden, is definitely one of those opportunities. There are actually five different Japanese garden styles built into the 5.5 acre grounds, designed with the three important elements of Japanese gardens: stone, water and plants. This Japanese garden also incorporates some native plants in its design. Visitors begin at the flat garden which has a viewing pavilion and verandah. This is one of my favorite areas. Weeping cherry trees and lace leaf maples surround an imaginary waterscape of carefully raked stones surrounding grassy “islands”. The tea garden has an arched entry, naturally shaped stepping stones, and, ultimately, a tea house. The idea of this garden is to step away from the hurry and disconnectedness of life and take time to live in the moment while sharing a bowl of tea. The beautifully raked sand and stone garden is a tranquil, shady spot. Many people call this a Zen garden, but the folks here say, “it is more accurate to refer to them as karesansui” (literally: dry garden). The strolling pond garden, my other favorite spot, has sweet bridges and soothing waterfalls, and gorgeous reflections in the water. The natural garden is the area that includes more native species, and it also includes quite a lot of stone steps. It was actually originally called the Hillside Garden. 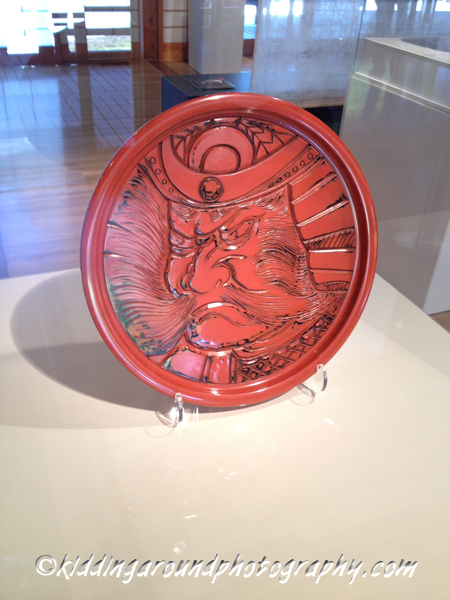 There was also a beautiful art exhibit of carved wood pieces on display when we visited. They were exquisitely detailed, and beautifully painted (or stained?). The level of craftsmanship was quite impressive. Visiting on a hot day was especially nice because it was cool and shady in the garden, but this garden is nice any time of year, and of course is extra special during fall with the spectacular maple leaves and in spring with cherry blossoms. They also celebrate special Japanese holidays here. The 2015 entrance fee is $9.50 for adults, with senior and student discounts available. Children under five are free. Tours are available. The full grounds are not ADA accessible, but the flat garden is fully accessible. We found that the other gardens are generally also suitable for less mobile people, except perhaps the natural garden (our mother, for example, could have easily walked all but the natural garden, albeit slowly). Do you have a favorite garden to roam? Leave us a note in the comments, and enjoy some tranquility, whether it’s for a week or a weekend.